The HUBZone program was enacted into law as part of the Small Business Reauthorization Act of 1997. 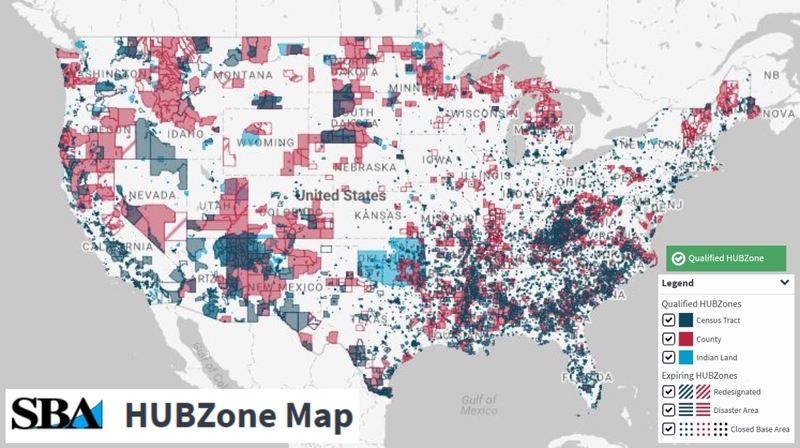 The SBA Regulates and implements the program, determines which businesses are eligible to receive HUBZone contracts, maintains a listing of qualified HUBZone small businesses federal agencies can use to locate vendors, and adjudicates protests of eligibility to receive HUBZone contracts. The program applies to all federal departments and agencies as well as being adopted by many large companies. The government has established a goal of three (3) percent of prime contract dollars being awarded to HUBZone businesses. HUBZone program is the only program that helps more than the business owner! It helps the community and the employees who are disadvantaged.